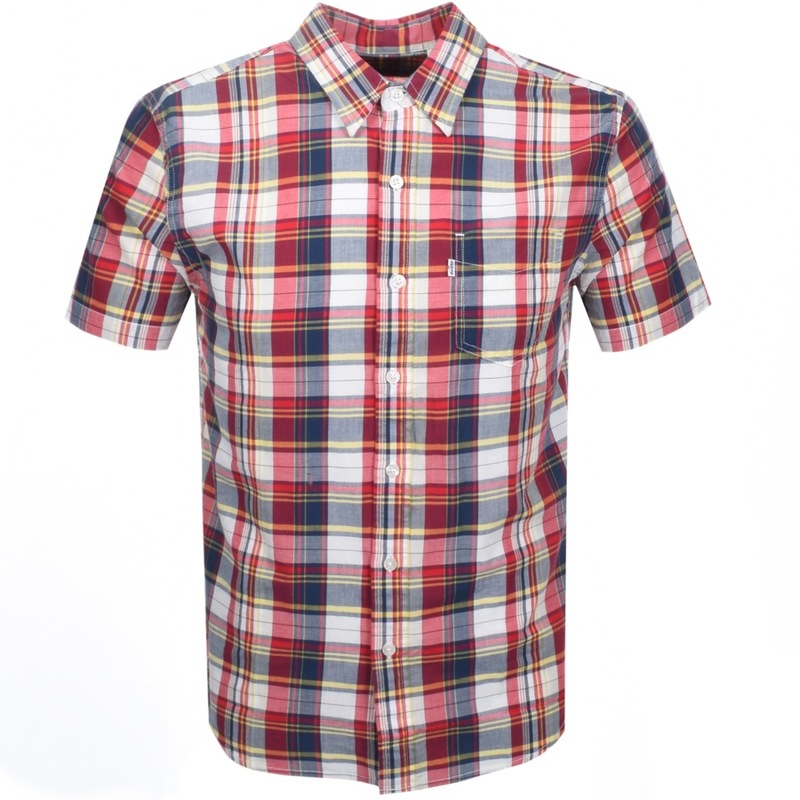 Levis Short Sleeved Classic One Pocket Madras Check Shirt In Red, An all over woven check design in red, dress blues, white and yellow. A full front pearlescent button fastening with a pointed shirt collar and short sleeves. A pouch pocket is situated on the left of the chest with the signature woven Levis logo pinch tag sewn into the pocket seam in white and black. A curved hem design. 100% Cotton. Brand New Stockist Of The Brand New Range Of Levis Shirts Live Online.